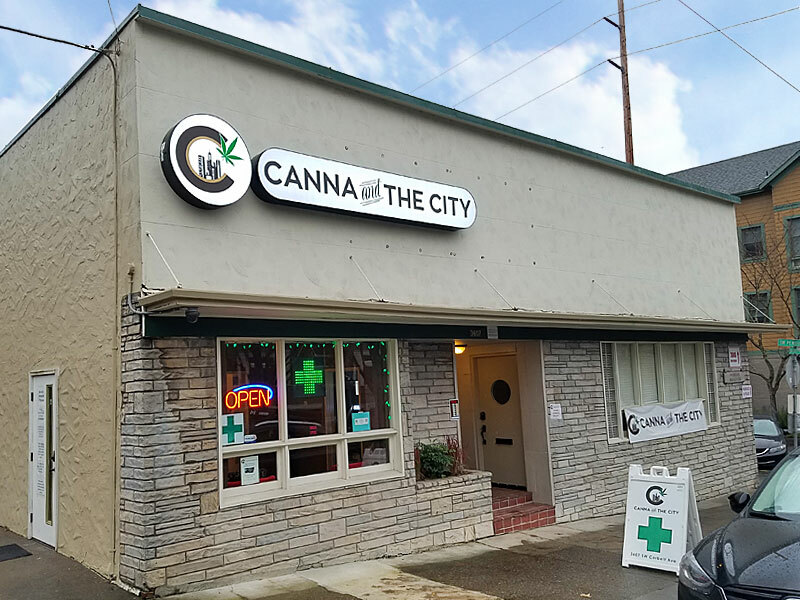 Located in the Lair Hill neighborhood of Southwest Portland, Canna and the City is your local neighborhood Craft Cannabis boutique. We carry locally grown high grade, family farmed cannabis, and a wide variety of infused edibles sure to please the palate while delivering balanced relief. Our concentrate selection is tasteful and plentiful with a wide variety of purified THC and CBD oils, shatters and waxes as well as an all-inclusive vapor pen selection, and they are now available to both medical and recreational customers! If its topical relief you're seeking, we have you covered with a broad spectrum stock of specialized and organic topical products meant for delivering fast and continuous transdermal relief naturally. Our knowledgeable and professional budtenders are here to help you find what you're looking for, or to answer any questions you may have. Follow us on Facebook or Instagram to keep informed about any deals or specials and upcoming events as well! Small selection compared to some of the other pot shops in the city but they have some high quality buds and knowledgeable budtenders. Cool place, will definitely go again when I revisit Portland.